STO Property Maintenance Group offer professional, expert handyman and home maintenance services in Brisbane, the Gold Coast, the Sunshine Coast and everywhere in between. In this blog, STO Property Maintenance Group discuss a few of the reasons why you should hire a handyman (or woman). As well as some of the everyday benefits that you can obtain through hiring one. A handyman is someone who is widely skilled at home repair jobs. Which includes trade skills, repair work, garden work, painting, maintenance work. They can offer their skills both in or out of the house. How will hiring a handyman help me? 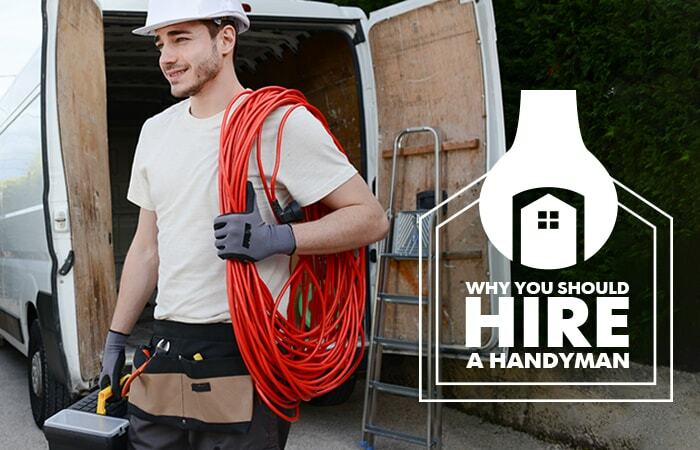 Hiring a handyman can help you in many ways. Such as by saving you time, saving you money, reducing stress and avoiding the unwanted inconvenience of having to shop around for several different tradies to do all the odd jobs around your house. Hiring a handy man can help you to save time researching how to guides on Google, and will prevent you having to research the tools that you need. You will also avoid having to go to the hardware store to purchase expensive tools that you may never use again. STO Property Maintenance Group’s handymen come prepared with the tools they need to get your job done perfectly, the first time round. Hiring a handyman will not only save you precious time, but it will help you to save money for the better things in life. Why waste money on expensive tools and materials (that may be the wrong ones)? Especially when you may not know how to use them anyway. Leave the hard work to the experts, so that your job gets done right the first time, with no wastage or errors. If you do the work yourself, you may risk having to pay someone to fix it later which will cost you more that you expected. So why not make an informed decision and hire a handyman. Calling in the professionals who know exactly what they are doing will not only save you time and money but will save you the stress of having to worry about how your project will turn out. You can trust that STO Property Maintenance Group’s handymen will achieve the results you are looking for, first time round without the worry of learning how to do something yourself. STO Property Maintenance Group’s handymen are jacks of all trades and are often able to help you with many different issues and jobs at the same time. This means that you don’t have to call around and find different tradesmen for all of the jobs you have to do around the house. Hiring a handyman is a simple fix all solution for all the odd jobs that have piled up on your to do list. Why don’t I just do the repairs myself? the to do list you have for all of your home maintenance? How long have the bulbs been blown in those few down lights in the bathroom? If you hire a handyman, you can just hand them your to do list, and then relax and enjoy your new found spare time. Why waste the whole weekend maintaining your property when you can hire a handyman to do it all for you. You would be surprised at how affordable it actually is, when you factor in all the costs you incur doing repairs and maintenance yourself. STO Property Maintenance Group understand that it can be difficult to find a tradie or handyman that you can trust, especially as they will often be in your home alone. Often you would prefer to hire someone who comes with a referral. STO Property Maintenance Group only hire experienced, professional and highly recommended handyman, so you can rest assured knowing that you have someone reputable working on your home. STO Property Maintenance Group hire trustworthy, qualified, professional handymen who offer a diverse range of handyman services in Brisbane, the Gold Coast, the Sunshine Coast and everywhere in between. Whatever your home maintenance, home repair, upkeep or renovation requirements, STO Property Maintenance Group have the handyman for you. What is on your to do list? Stop procrastinating and call STO Property Maintenance Group today. We can offer you expert advice or find the right handyman for you.